A double chin is something that tends to creep up on you. You won’t necessarily notice it in the mirror on the daily; you’re more likely to spot it in a photo just hanging there, taunting you. As we age, our skin starts to lose elasticity, and gravity takes advantage, causing a double chin. Another factor is weight fluctuations. “The skin, when well maintained, is elastic, but with constant weight gain and weight loss, it can become stretched and lax,” says Jean-Louis Sebagh, MD. “So as I always say, prevention is always better. Genetics also play a part, so if a double chin runs in your family, then you’re more likely to wind up with one yourself. But don’t despair: There are plenty of ways to prevent a double chin. 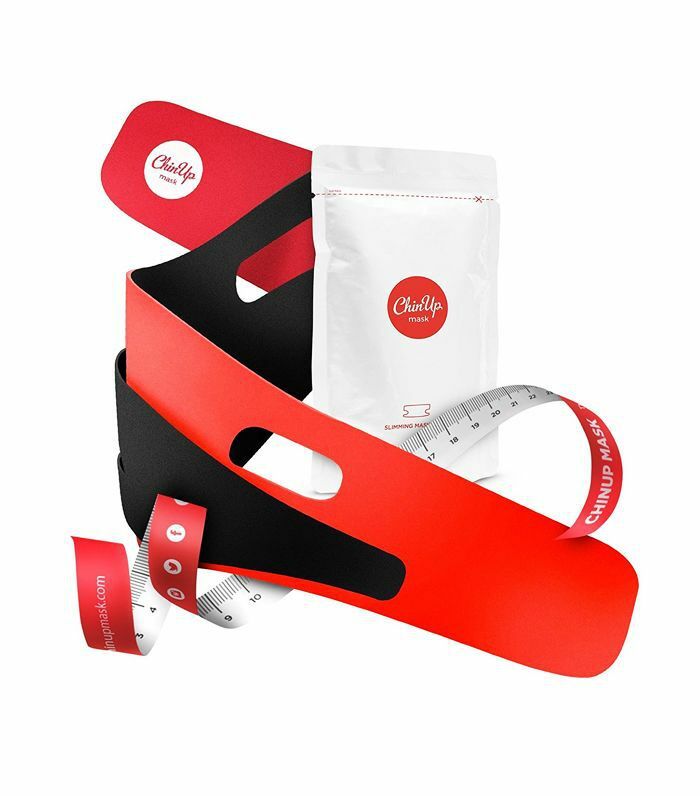 From face yoga and targeted skincare products to more extreme treatments, you can coax that double chin into submission, leaving you with one chin that will look lovely in photos and real life. Want to know how to get rid of a double chin once and for all? Keep scrolling for our fail-safe guide. Make a V with your hand, and rest your chin in the V. Pull your lips over your top teeth, hold for five seconds, and repeat. Move your hands to either side of your chin, with the length of your fingers covering your ears, and make the sound “eeeee” with your mouth. Put your ring fingers inside your mouth on either side, pull the skin to the side, and use your jaw muscles to bring the fingers back in to touch your teeth. The first step would be to ensure you are applying your face serum or moisturiser to your neck using an upward sweeping motion. If your usual product is formulated to increase collagen production, then this will help. If you’re already doing this and your double chin isn’t budging, then it’s worth incorporating some products into your routine that zero in on this specific area. Bliss Thinny Thin Chin Neck Firming Cream (£33), for example, is formulated to firm and tighten the jawline both instantly and over time. If you’ve noticed your skin is slightly crepey, not just loose, this will help to soften and smooth the skin. If you want a noticeable change, perhaps you have a special occasion in the diary where you will be photographed, such as a wedding, then you may want to try the ChinUp Mask (£50 for seven). It likens itself to a nonsurgical face-lift and claims to shift two centimeters from your chin in just 30 minutes. There is a tape measure included, so you know they mean business with that claim. Not only does the mask tighten the skin, but it boosts lymphatic drainage in the area. You simply apply the sheet mask, attach the band included around your chin and face, and then wait the allotted time. While this isn’t a permanent solution, it will give you a more contoured jawline fast. 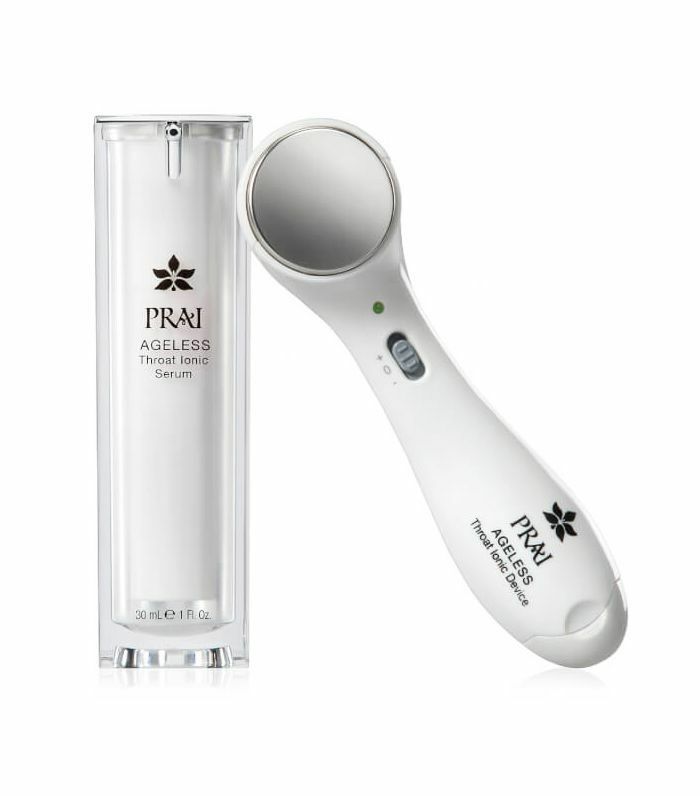 For a more long-term result at home, try the Prai Ageless Throat Ionic Device and Serum (£100); the handheld tool massages the area and drives the product deep down into the skin. The serum contains hematite extract to boost collagen production and goldenrod extract to shield the skin from free radicals that can weaken the skin over time. You should notice a difference in just seven days. Dr. Sebagh recommends lymphatic drainage massage when applying your products at home. Using your serum or moisturiser Dr. Sebagh's in-house facialist, Tine Hagelquist, offers up the following instructions: "Knead and pinch your jawline. Starting from the chin, move with upward movements towards the earlobe. Use your index and middle fingers, like you are cutting with a pair of scissors, pinching and kneading with firm movements, it has to be firm. Do this both morning and evening. Next, tap with the back of your hand under your chin, then poke your tongue out as far as you can towards the tip of your nose, hold this for 10 seconds, then press your tongue up against the roof of your mouth, again hold for 10 seconds. This a very effective facial exercise to strengthen jaw and neck muscles." Tried targeted products, massage and face yoga and that stubborn double chin is still there? Look to in-clinic treatments instead. Radio Frequency: "Radio frequency is amazing for facial fat burning, double chin reduction, lifting and sculpting. I discovered this technology out in the field for my column in the FT, How to Spend It, and it was so good I had to bring it into FaceGym, as it transformed my usual very 'jowelly' chin into a razor-sharp contour," says Theron. "Depending on how bad the double chin is, we would recommend an initial course of Radio Frequency at FaceGym (£170) and then monthly maintenance. 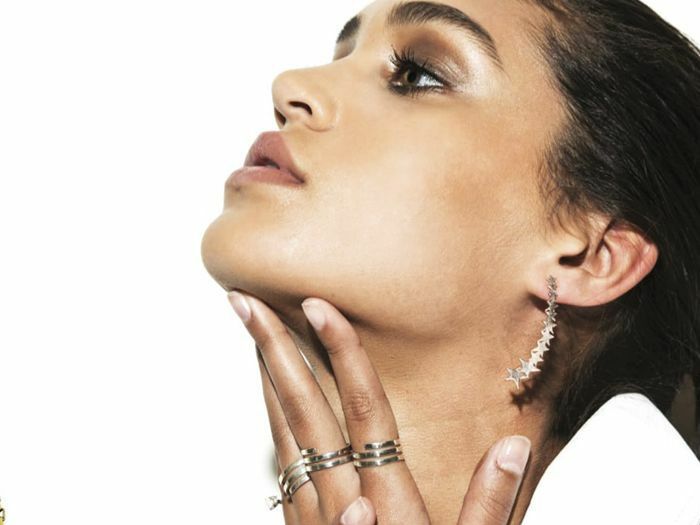 The benefits are not only a sharper jawline but also increased skin tightening and collagen production, which helps your overall complexion and minimises lines." At Dr. Sebagh's clinic, he offers Ultralift. "It delivers ultrasound waves and obtains great results for lifting, tightening and firming," he explains. "This treatment can be combined with Sculpt Freeze to freeze the stubborn fat cells which are then gradually (over several months) eliminated, or the Aqualyx treatment, performed by Dr. Anna Marie Olsen. This is an injectable solution (biocompatible and biodegradable) that causes the dissolution of fat cells, after which the body then expels the released fatty acids naturally in the weeks that follow the treatment. We have achieved amazing results when combined with the Ultralift treatment as you are not only reducing the fat but toning and firming the skin." "There is a superficial muscle that forms a sheet over the whole neck and pulls down on the jowls of the face when grimacing," says Dr. David Jack, an aesthetic doctor based on Harley Street. "Botox can be used to relax the pull of this muscle and relax the tension it creates on the jawline and the area under the chin, providing a subtle lifting effect. This is good for early cases where there are minimal jowls and double chin!" "This is a new treatment recently reintroduced to the UK," says Dr. Jack. "It involves injections of carbon dioxide gas under the surface of the skin into the fat. The carbon dioxide is toxic to fat cells so causes them to undergo cell death, reducing the volume of fat. Usually eight to 10 weekly sessions would be required." "This new fat-dissolving injection provides permanent results, which are extremely impressive and give the patient a much more defined jawline. Usually patients will require two to six treatments spaced four to six weeks apart, but this would all be decided upon consultation." Next up, the new French at-home peel that cleared my spots overnight.